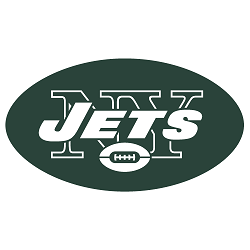 The New York Jets is one of the two major National Football League (NFL) from the New York metropolitan area. Since being formed in 1959, the Jets have won just a single Super Bowl title some fifty years ago. Unfortunately, the team’s more recent form has been rather disappointing with the team only making the playoffs once in the last decade. However, anything is possible in the world of football, so the Jets may just soon change. Below we highlight all you need to know about the latest New York Jets betting news, including odds and current standings. As previously alluded to, betting on a New York Jets Super Bowl victory hasn’t exactly been fruitful these past few years. Despite being a rather consistent side, the team has failed to make it past the division round each year since 2010. Despite having made it to the AFC Championship game twice, they have not yet won the title yet. (Although the Jets won the Super Bowl in 1968, the tournament had a different format back then that did not include Championship games). The team has been looking into making a good go of it. In 2015, coach Todd Bowles was hired to help the side refocus. While the team hasn’t made the playoffs under Bowles’ reign, it does seem as if overall performance is improving on some fronts. Though, this does not mean that the team does not have some weakness (a weak offensive line is one such issue that comes to mind).